The latest version of WhatsApp for Android and iOS has added a handy new feature: the ability to send any sort of file to your contacts. That means you can now send Android APK installers, MP3s and whatever else you’ve got on your phone. The feature, which was in testing last month, also works on the web-based client. Additionally, you’ll now be able to select photos and videos straight from the camera screen, thanks to a new carousel of images from your gallery in that interface. It’s always nice to see WhatsApp slowly but surely catch up to more feature-rich messaging services out there. It recently added support for photo filters and albums on iOS, Stories-style Statuses, and video calls. The app is expected to enable users in India to make peer-to-peer payments soon; hopefully we won’t have to wait long to test that out. 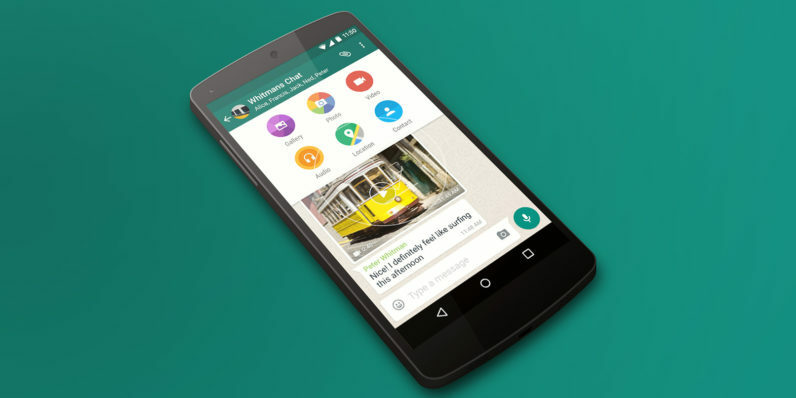 The new file sharing feature is rolling out with the latest versions of WhatsApp – grab ’em for Android and iOS.